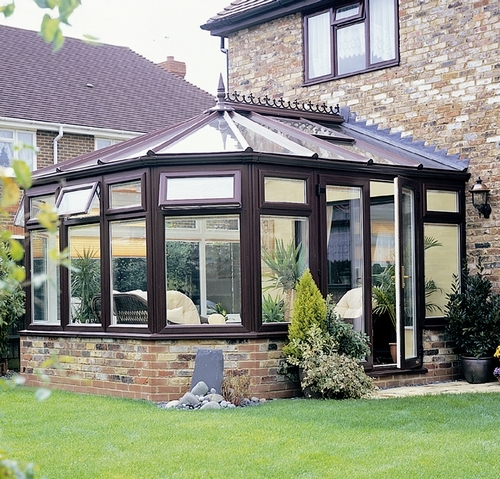 Home - Want to enhance the light and space in your conservatory? Then blue may be the colour for you! 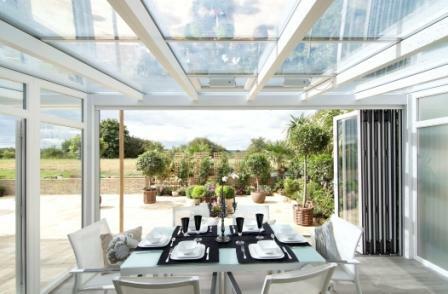 Want to enhance the light and space in your conservatory? Then blue may be the colour for you! For many homeowners a conservatory acts as an extension to their home – adding extra space without the need to move or make significant structural changes. Of course, you are limited by the amount of land you have to build on, so if it’s light, airy space you are want, you may need to employ some tricks of the trade to create the impression you are after. During our recent visit to Grand Designs Live, we bumped into interiors pro Marianne Shillingford, who just happens to be creative director at Dulux. An expert in interior illusions, we plugged Marianne for some tips on how to make any small space – including conservatories – seem larger and brighter. Her advice is particularly apt given that we are entering into the darker months of the year when we’d all like to eek out every ray of sunshine we can.